One way the Cooperative serves the community is through the Coastal Electric Cooperative Foundation. The Foundation’s mission is to assist with the food, health, safety, education and shelter needs of citizens in counties served by Coastal Electric Cooperative. 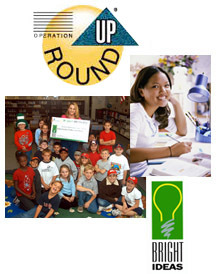 The foundation’s main funding is from Operation Round Up, the volunteer programs where Members allow their monthly electric bill to be rounded up to the next whole dollar. Members who participate make an average contribution of $6 per year. Contributions to the Foundation may be tax-deductible. Since it’s creation in 1993 the Foundation has awarded grants in excess of $1,456,000 to numerous charities, organizations, and individuals. The Foundation also helps teachers through its Bright Ideas, which awards grants of up to $2,000, for teachers to do innovative lessons. The Foundation also awards scholarships to students who need financial assistance to attend college and technical schools. The Coastal Electric Cooperative Foundation board is comprised of nine Members who have an active record of community involvement and serve on a voluntary basis. The members are appointed by the Coastal Electric Cooperative Board of Directors. The Board meets six times each year to review grant applications from individuals and organizations. The Board will consider grants seeking assistance for the basic categories of food, health, shelter, safety, and education. Grants are not awarded to pay electric bills or to meet recurring living or medical expenses.